Our intention in developing the Ability Radio Project is to create a program that is transferable to other settings and groups. Kim has run programs on these principles as part of the Ability Radio Project, Women On The Edge and the Taking Radio 2 Community projects – with people from a diverse range of abilities including PWD, people experiencing poverty and homelessness, and women from disadvantaged backgrounds. 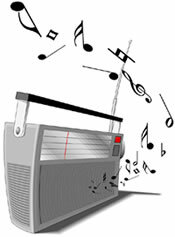 The materials are based on simple radio tasks that a novice in radio can learn, practised in a supportive setting. Communication Skills-checklist+instructions-v2 – What can you do now? How to learn microphone technique, meeting a guest, introducing a guest, announcing songs and others things you need to say when on-air.